A few weeks ago, Larry and I flew “home” to Eastern Pennsylvania where I was born and raised. We had a series of wonderful get-togethers with my three “little girl” friends as well as a terrific visit to the greatest city in the world, New York. Our hosts, John and Barbara, had been close friends with my parents and we shared stories and memories of my folks that warmed my heart. 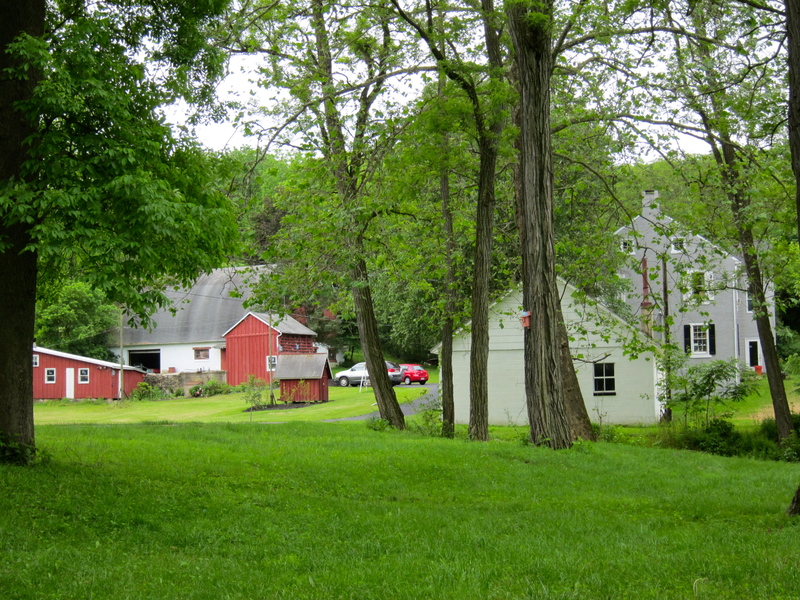 We so enjoyed staying in their lovely country estate near Northampton, PA. and couldn’t get enough of the gorgeous green countryside. 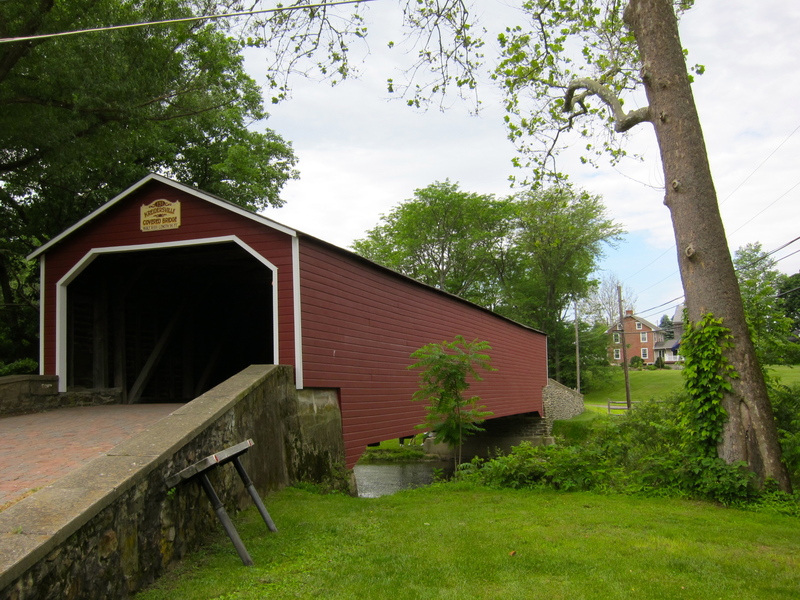 There was even a covered bridge down the road. We saw wild turkeys, groundhogs, squirrels and deer. John builds kooky birdhouses and posts them all around the property. I lost track of all the different varieties of birds that we spotted at the feeders outside the breakfast room. Barbara kept the fridge packed with goodies during our stay. She was especially keen for me to rediscover her favorite Pennsylvania Dutch cookie, a “snickerdoodle”. I thought her store-bought cookies were pretty good and planned to try baking some when we returned home. I found recipes galore on Epicurious and added vanilla with reduced salt to my version. Many thanks to our gracious and generous friends, Barbara and John, for such a wonderful visit to their beautiful corner of the world. In your honor, Barbara, here’s my take on snickerdoodles. Come visit us soon and I will bake another batch for you! 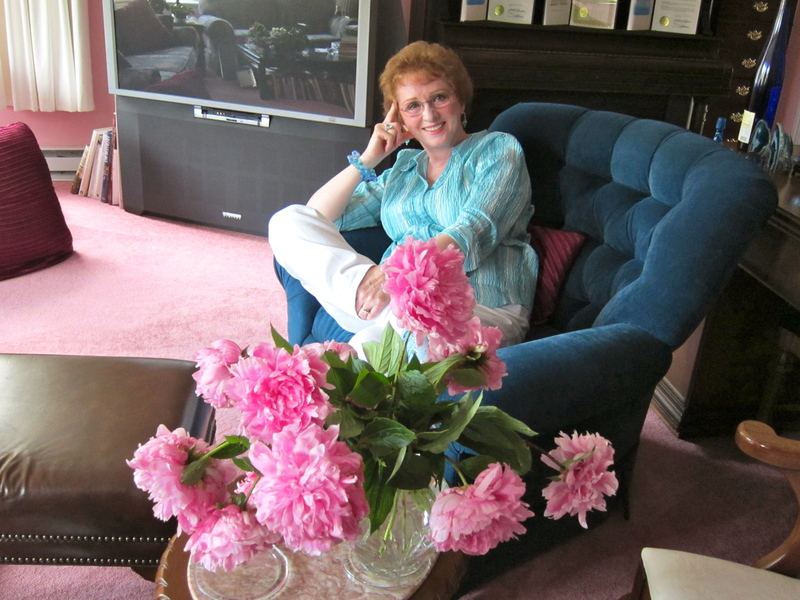 And, yes, here is Barbara, our wonderful hostess. 2. Sift the flour, baking soda and salt into a medium-sized bowl. Set aside. 3. Using a standing mixer, beat together the butter and shortening. Add the 1 1/2 cups of sugar and beat until light and fluffy, about 5 minutes. Add the eggs one at a time and the vanilla. Add the flour mixture and mix until just smooth. 4. Mix the 3 tablespoons of sugar and cinnamon together in a small bowl. 5. Roll the dough into 1 1/2 inch balls. Roll the balls in the cinnamon sugar. 6. Flatten the balls into 1/2 inch thick discs, using the bottom of a sturdy glass or small ramekin. 7. Place cookies on unlined baking sheets and bake until light brown, about 15 minutes. Cool on racks. So glad to have a Snickerdoodles recipe. I remember being introduced to them in my college days, and loving them. It seems hard to find a recipe for them nowadays, though. Thanks, Liz. I never knew you had a cookie shop! Only fair to alert everyone that the Surgeon General is planning to label snicker doodles with an addiction warning. My homemade ones are even more addicting – try them! Snickerdoodles are a favorite in our house. Adding the shortening makes a big difference. I look forward to trying your recipe, Liz. What a sweet story, glad your trip was fun!! Thanks, Kelsey – it was a terrific vacation. I’m wondering why your comment come marked as “spam”? Hmm – have to check that out for sure! I LOVE snickerdoodles!! This sounds like a great recipe for them. And it looks like you had such a nice visit back “home”. Thanks for visiting, Georgia – I will enjoy looking at your blog as well. Liz, I have been meaning to tell you how much I love snickerdoodles! I love the name too! 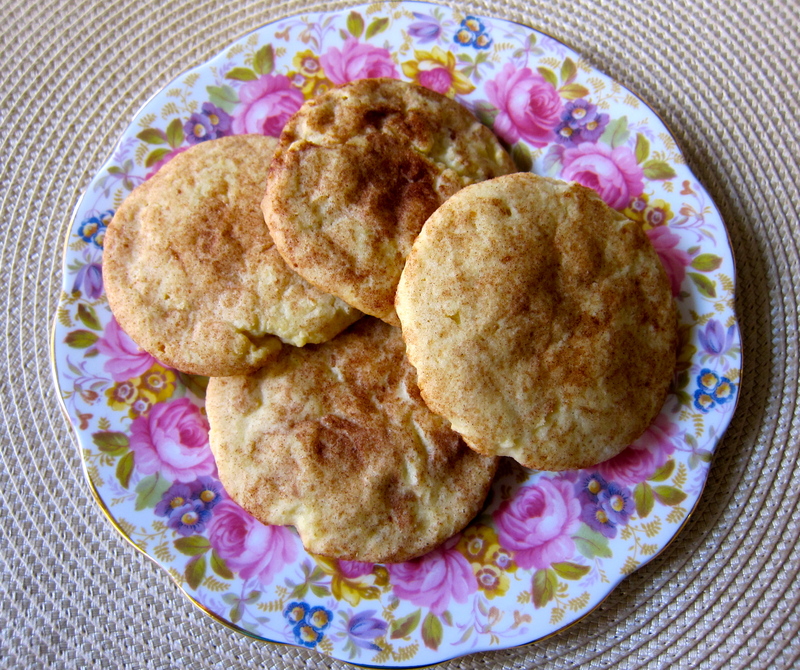 (Has anyone named their goldendoodle dog Snickerdoodle, I wonder) Anyway, my grandmother made these all the time and they were my favorite cookie. Does anyone know the history of this cookie? Never made this before…look really yummy and so I’ll have to five it a try sometime soon….